Is My Shower Sealed? Your Essential Guide. 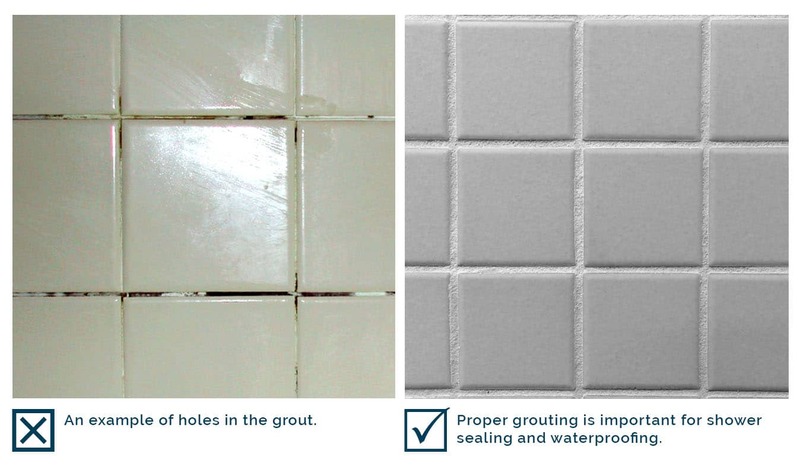 One of the common questions people ask when they are experiencing shower sealing and waterproofing problems is, “How do I seal my shower?” It is important to remember that both tiles and grout are not actually 100% waterproof. However, the waterproof membrane behind the tiles, if installed to Australian Standards, is. This is designed to allow any water that penetrates behind the tiles and grout to drain into the puddle flange installed at the shower base. Is your shower up to standard? Stop for a moment and read Perth Shower Repair’s essential guide to ensure your shower is up to standard before its next use. Have a puddle flange which is correctly installed. 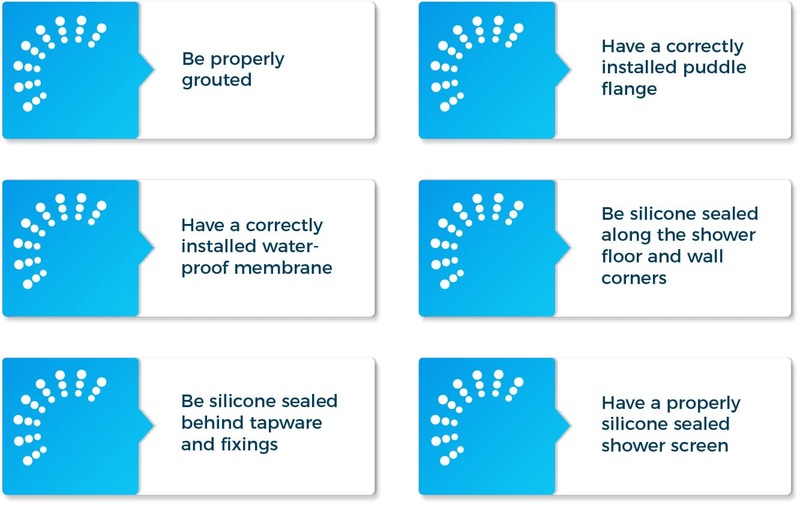 Be silicone sealed in-behind tap ware and other fixings where the tiles or waterproofing membrane have been exposed (e.g. screw holes for soap dishes or shower racks). Be silicone sealed along all of the inside or outside of the shower screen. Note that mouldy silicone is not necessarily a waterproofing issue. If your shower has been siliconed correctly, water should not get behind the back of the silicone. Surface mould can be cleaned. However, if water has got behind (due to poor workmanship or deteriorating silicone) mould can grow underneath the silicone bead. If this is the case, the silicone will need to be replaced. 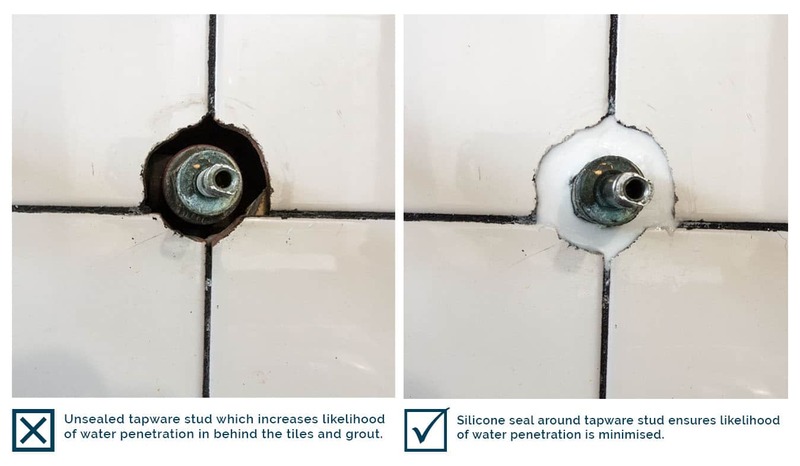 A properly sealed shower should have been silicone sealed behind tapware and other fixings where the tiles or waterproofing membrane have been exposed (e.g. screw holes for soap dishes or shower racks). If left unsealed, water can make its way behind non-sealed tapware and behind the tiles, leading to water damage issues. To check your tapware, remove the tap handle and fluid apron to expose the tap stud underneath. A properly sealed tap should look like the one below on the right. Like the shower corners, the join between the shower screen and tile surface or floor should also be considered a movement joint as they are two substrate types with differing movement potential. A properly sealed shower screen acts as a barrier preventing water movement to other areas of the bathroom. In our experience, applying silicone on the inside is less likely to lead to shower sealing issues down the track. Inspect all the corners your shower screen where it meets the wall and floor to check if they are properly silicone and there is no obvious gaps or holes in the silicone. One of the key elements of shower waterproofing is a proper drainage system. 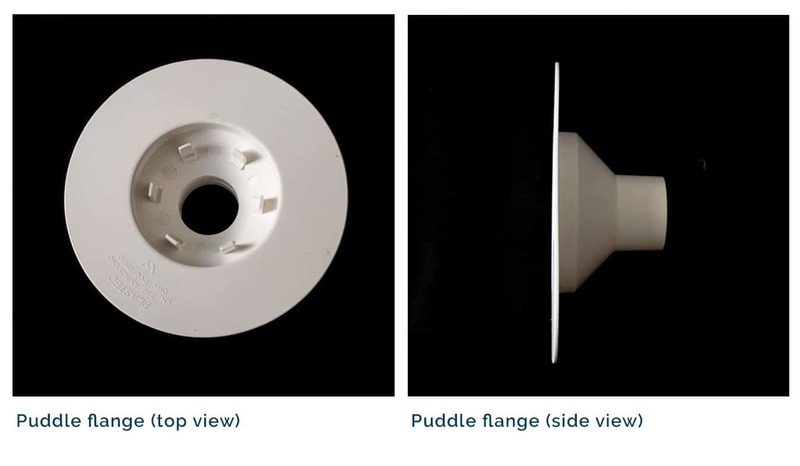 This should include the correct installation of a puddle flange (see photo below). Any water that does penetrate the tiles and grout is designed to hit the waterproof membrane and drain in through the puddle flange into the drain. To check your drain, start by removing the metal drain cover. If your shower has a tiled grate, lift this out and locate the drain hole. Next, by running your finger around just below the opening of the drain, check to feel if there is a slotted gap between where the lip of the drain top meets the PVC pipe below. This can take a bit of practice to know exactly what you are looking for. If you are unsure at all, please do not hesitate to call Perth Shower Repairs to talk to the experts. If you have checked the above to eliminate them from the list and you still think you may have a leak, then this leaves the possibility that the waterproof membrane may have failed. At this point it is best to call in the professionals. At Perth Shower Repairs, we are skilled at identifying and assessing leak sources and can provide the best possible solution for your shower. Still In Doubt? Call The Experts At Perth Shower Repairs. 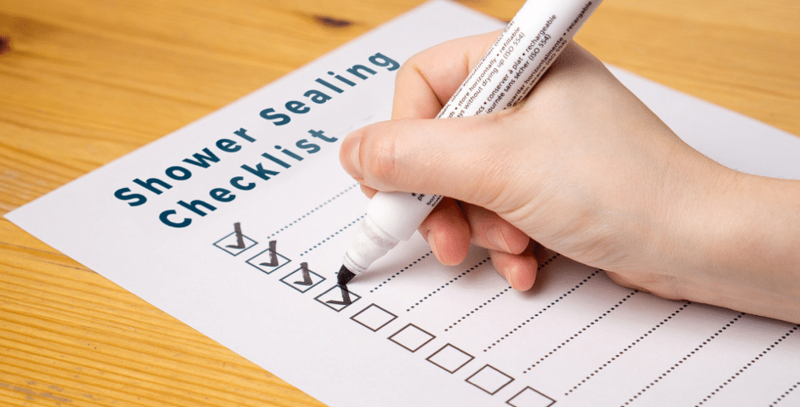 If you have just read all the above and are still unsure about whether your shower is properly sealed, for your peace of mind why not call the experts at Perth Shower Repairs on 0424 SHOWER to discuss your shower sealing and waterproofing needs.